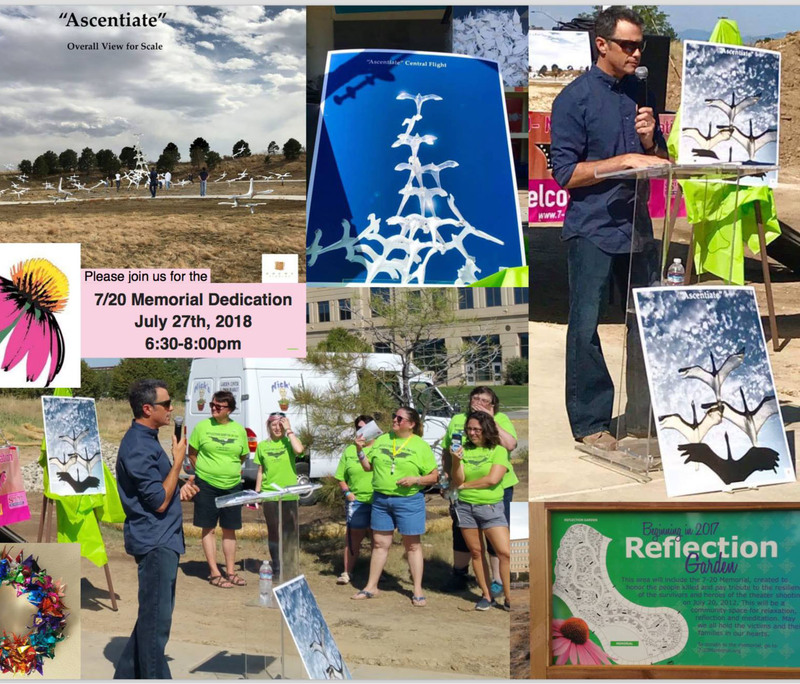 Please join the 7/20 Memorial Foundation and the City of Aurora for the dedication of the highly-anticipated memorial.The artwork among serene natural surroundings honors loved ones and allows a reflective space for all visitors to find Peace, Hope, and Strength. The name of the artwork is “Ascenciate” by artist Douwe Blumberg of Douwe Studios. The artwork will include 83 sculptural cranes flying together towards the center and then rising upward as a group. The 7/20 Memorial Foundation invites you to join the dedication of “Asentiate” in the Reflection Garden.